We’ll let you in on one of the most important secrets in business: the follow-up is everything. It makes sense. Whether it’s customers past or people who have expressed genuine interest in your work, these are the relationships you should be fostering just as much, if not more than searching for potential new audiences. They are willing and ready to go! That’s where leveraging your contact list needs to come into play. The more times that interested contacts see your art and get to know you as a person, the more inclined they will be to purchase your work. So, how exactly do you use this audience to your advantage? Learn how Artwork Archive’s newest features make it easier than ever to follow up with clients and leave them wanting more. Much like any precious material, your contacts aren’t valuable if you don’t keep track of them. The more your customers get to know you and your work, the more likely they will want to support you and buy your art. Every time you meet someone that is interested in your artwork (even if they don’t make a purchase at that moment). make sure to get their full name, email address, and phone number. And once you have the information, treasure it! 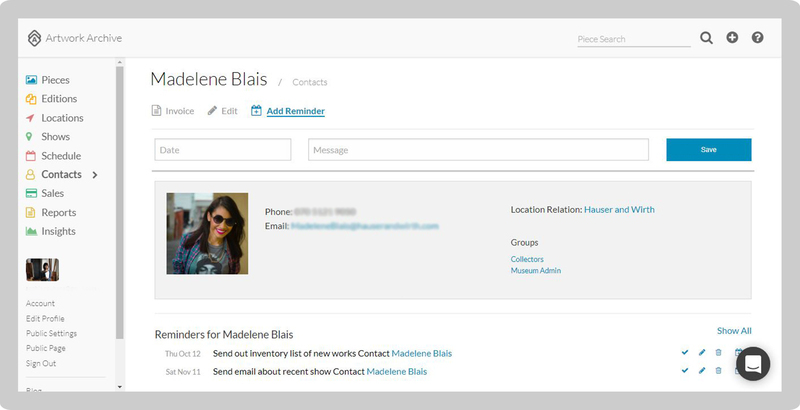 Put it in an easy-to-use contact tracking system like Artwork Archive that can take your contact list the extra mile. Perfect the art of the follow-up. When you meet someone who expresses interest in your work, you should be sending them a follow-up email. It doesn’t matter if you met them at an art festival or at a party where they looked at your art on a smartphone—people who love your art are worth building a relationship with. It’s considered best practice to follow up via email within 24 hours of meeting with a quick “nice to meet you,” while thanking them for their interest in your work and asking if they’d like to join your mailing list. That’s where contact management comes in. Who hasn’t kicked themselves after forgetting to follow up in time or not being able to remember who’s asking about what? With Artwork Archive, you can now create Reminders tied directly to your Contacts, Locations, and Pieces. Make notes on where you met the person (e.g. an art fair or a gallery show) and link them to a specific piece in your inventory they are interested in. Artwork Archive now integrates those reminders with your iCal, GCal, or Outlook, so you can keep all your important dates in your favorite calendar app. You’ll never forget to follow up again, and you can get your newest client relationship off on the right foot. A better way to share and showcase your work. When it comes to building relationships and the final goal of making art sales, you need a solid follow-through to seal the deal—and that’s with an enticing, beautiful, and easy way to showcase your work. The Public Profile Page does exactly that, and it just got even better. It’s still a clean, stylish way to share your work, but you now have greater control over the way your work is displayed on your public profile, including the ability to sort your public Pieces and a customizable profile URL. What’s more, you can now add URL links to your public Collections, and directly share a certain Piece’s page. These new features make it easier than ever for clients to buy your work, and you can take a sigh of relief knowing that your art business is running professionally. Don’t forget the soft sell. 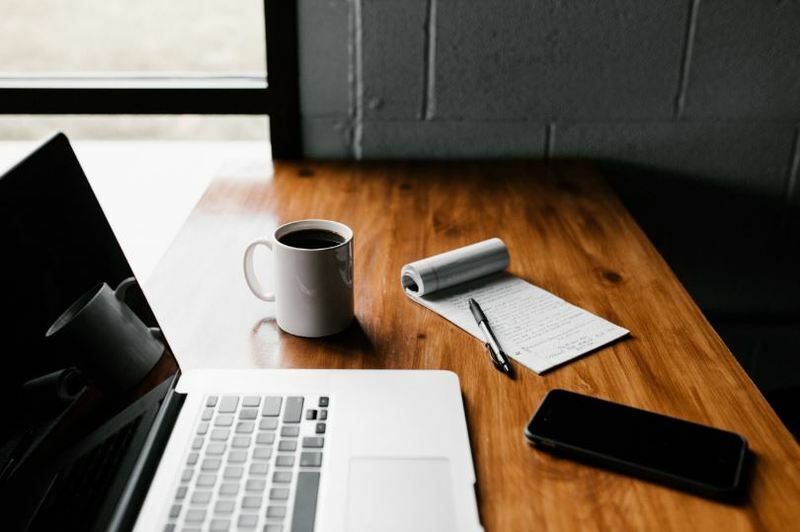 Whether you’re sending personal emails to your most avid admirers or monthly newsletters to past and present fans, consider finishing off your emails with a sincere “thank you” and an email signature directing them back to that beautiful display of your work. Use a gentle nudge calling to them action. Showing them your latest works is a great way to engage with your audience authentically. We can’t say it enough: fostering a relationship with your contacts is critical. They are an audience at your fingertips ready to be tapped into. And, following up appropriately will keep you top of mind and ready to buy your artwork. Looking to build your audience and make more sales? 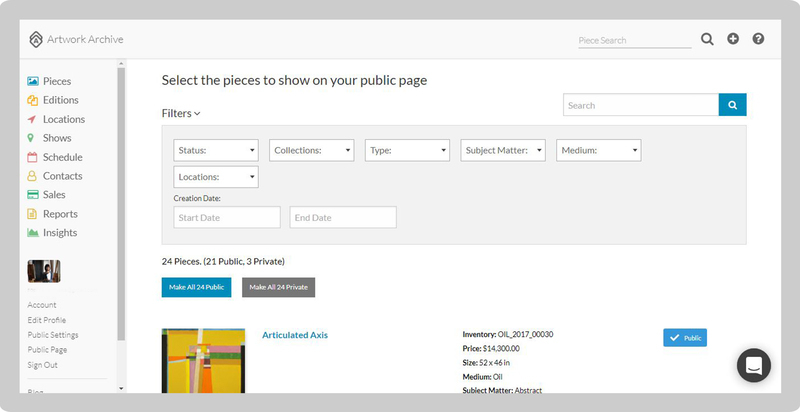 Try Artwork Archive to perfect the art of the follow-up and manage your artwork with ease.